Growing up as a young athletic girl in the '50s and '60s, I loved playing all sports. With three brothers and no sisters, I was just another “one of the guys” on the neighborhood playgrounds. Without organized sports opportunities for girls, my emotional pain was real as I sat in the bleachers watching my male friends play on various teams. Though conflicted and confused by cultural limitations, I continued to embrace my love for sports. I pursued a teaching degree in physical education---the only career option at the time for a sports-minded female. 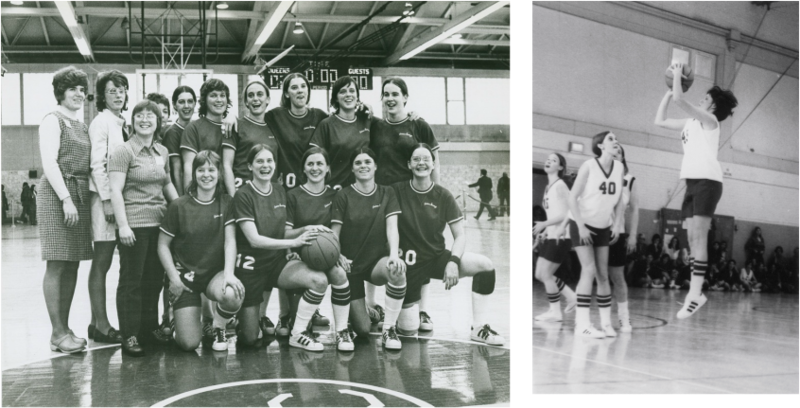 While at Indiana University I played on the fledgling women’s basketball, softball, and field hockey teams. This gave me a taste of organized competition, but also exposed the glaring inequities between men's and women's athletics. Because this was before the passage of the federal law (Title IX) that mandated equality in sports, we had no athletic scholarships, locker rooms, or facility equivalencies to the men’s programs. I was the senior captain of the 1973 Indiana University basketball team that advanced to the Final Four at one of the first women's national championships. After graduating, I taught physical education and coached volleyball, basketball, and tennis at a high school before accepting a position at Ball State University as the head women’s basketball coach and assistant professor of physical education. While at Ball State I co-authored ten editions of A Wellness Way of Life, a McGraw-Hill textbook used in fitness/wellness courses across the United States. In the sport of basketball, I have been a player, high school coach, NCAA Division I coach, referee, and radio commentator. In 2006 I retired from a thirty-three-year teaching career and moved with my husband to St. Augustine, Florida. My passion for fitness and sports continues as I work out daily and teach exercise classes to other retirees. I am very pleased with and continue to marvel at the wide range of sports opportunities for today’s females. Meeting Her Match was a labor of love that likely parallels the stories of many female athletes of my generation. 1973 Final Four Team (I'm second row, second from right). Putting up a jumper at IU.